Escape? 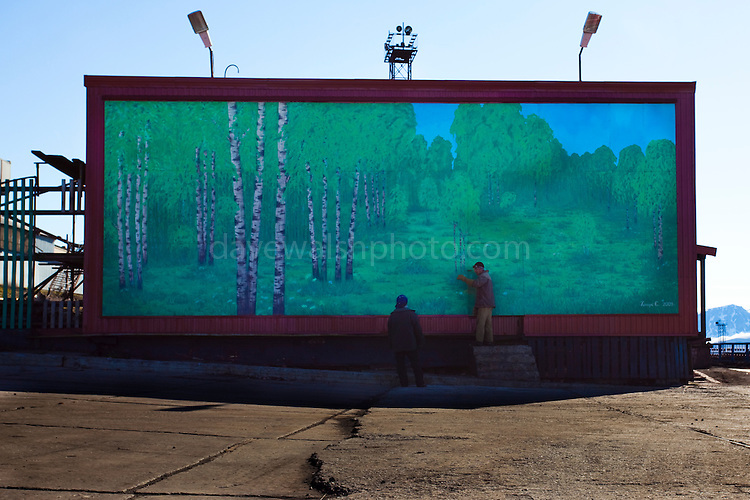 Two workmen exit a door in a mural depicting a forest in Barentsburg, a Russian coal mining town in the Norwegian Archipelego of Svalbard. Once home to about 2000 miners and their families, less than 500 people now live here. There are no trees in Svalbard.